Simple Counterfeit Money Detection | Current Issue . With Victoria police openly stating their concerns around counterfeit money, it's no surprise that businesses are feeling the impact on their bottom line. Organised criminals are fine-tuning the art, with fake notes steadily becoming harder to detect. And although there are many ways in which you can detect fake money, it's often without 100% accuracy, especially in the heat of a busy transaction and when left up to manual detection methods. As of late, we've had a surge in popularity towards our automatic counterfeit money detector. The fully automated device is the only machine approved and tested by the RBA with outstanding results. Recognises 4-6 different currencies at the same time. 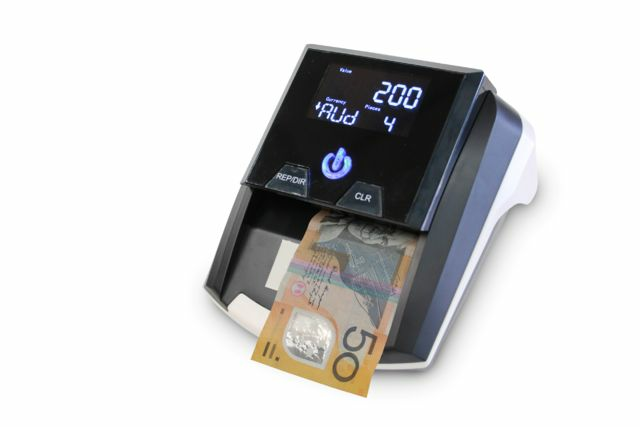 With the recent surge in counterfeit money in Australia, this reliable, easy to use device will save brands big time going forward. Mark Green - Instore Security "here's to no more counterfeit notes"